Meet the new guy, Vosii! And just in time to get into some trouble with the Washside Wringers! Recipe for a good, new episode: Start with a little book-keeping, review some class abilities. Then add a little ‘what happened last time.’ Next, throw in some downtime, followed by an interrogation. 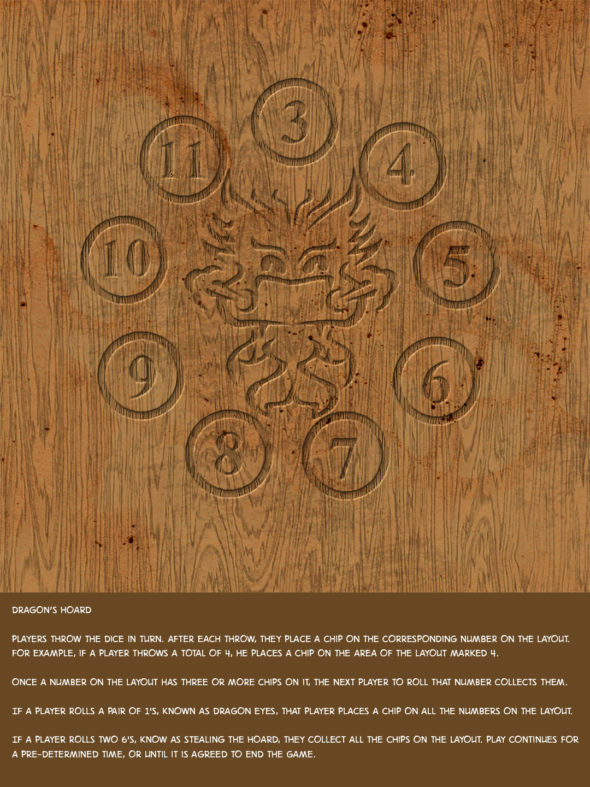 To finish it off, add a dusting of another home raid in Magnimar looking for Druce’s badge! The Pathgrinders take on the magical master of mildew and mushrooms in his dingy apartment, and find out that things would have been a lot better if they’d have taken a moment to heal themselves beforehand. Donnie is out of his element when the Pathgrinders storm the house! The fellas find some funky fungus living in the gardens of Magnimar’s posh districts. Is this just a single strange occurrence, or have the guys stumbled into a deeper plot? A quickie… Flynt joins the meeting with Sgt Jourdain and talks about his future with the city guard. Season 2!!! 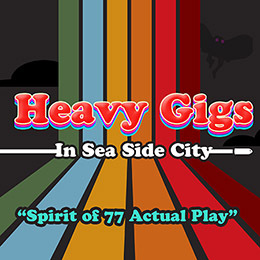 We’re back with more hi-jinks in the city of Magnimar. 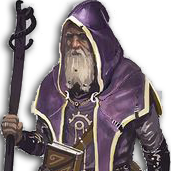 And while Job the dwarf is M.I.A., a cleric named Navin considers offering his services to the city guard! But first, the barbarian, Ferd, that the guys have been hunting leads the guys on a chase through the dockway! The guys go through the Starlit Whale after killing the beast in the hold. Will they find enough evidence to have the captain and crew arrested? Also, Flynt Locke’s ballistic dreams come true. The raid of the Starlit Whale is in full swing! 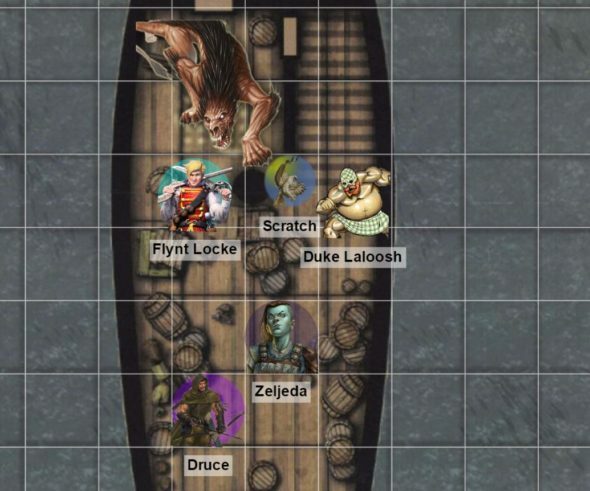 The PCs have just found evidence that the crew of the ship are indeed up to no good, in the form of a demonic beast! They’ve really stepped in it now! 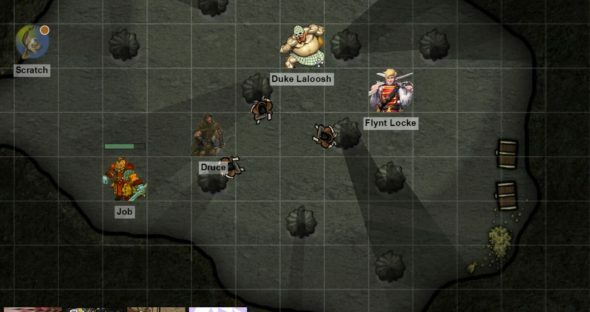 The guys enact their plan to raid the Starlit Whale. Duke goes for a swim. Druce starts a bum fight. Flynt does some very freebooter-y freebooter stuff. 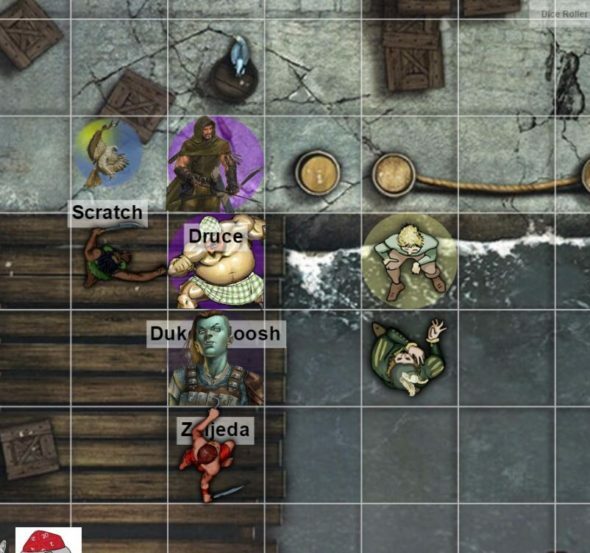 After gaining some gold betting at the shady halfling fight club, Duke rejoins Druce and Flynt in their hunt for info on the guys that stole Druce’s badge and coin purse. Duke continues his day of gambling and drinking with his companions Zak Jak and Bunford as they head into a secret fight club. What does Duke Laloosh do when he bails out on the crew? Drinking and gambling of course! Let’s take a peak in on Duke and meet some whack-job characters that a degenerate gambler associates with. The guys check out the jeweler’s shop, find a great opportunity, and everything is great! Right? Turns out that no, they aren’t. Druce’s night of drunk shenanigans start to catch up to him. The guys decide they’ll visit the jeweler that they saved from the stray dogs, but they decide to ride in style! Cashing in favors, y’all! 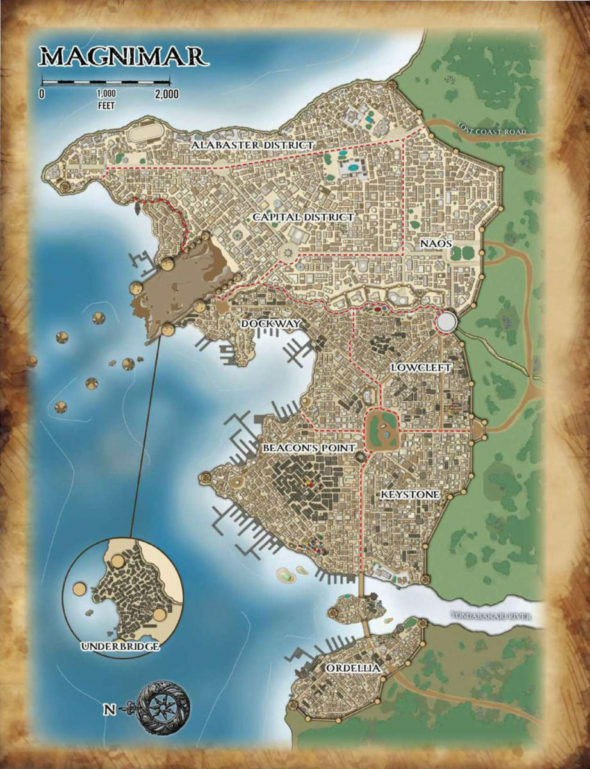 Find that carriage driver they saved from the cultists! PG3DD Season 1 Ep 12: You Go On! Geeeet! 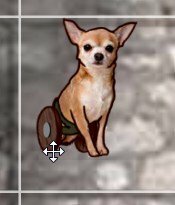 The guys fight a two legged chihuahua. Seriously. We’re sorry. This episode is weird. After some disturbing experiences in the sewers, the guys take stock of themselves and then are off to get healed and drunk. 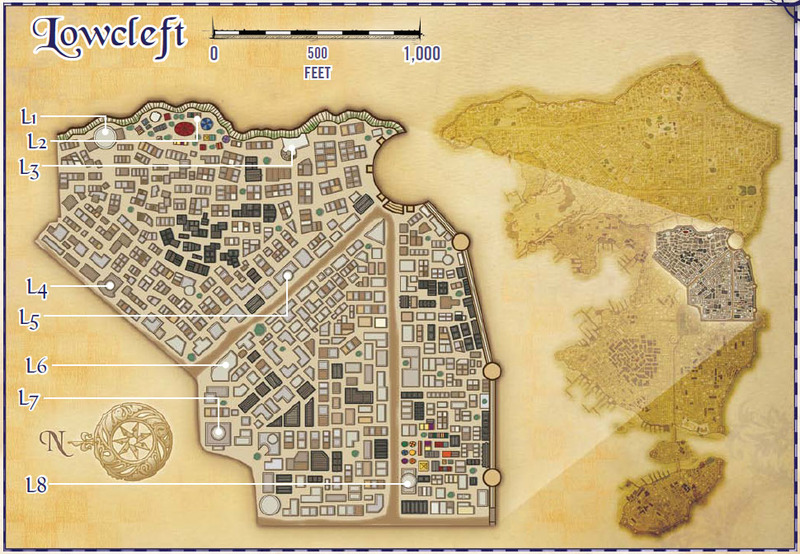 Flynt tries to maneuver through town without running into the Washside Wranglers. 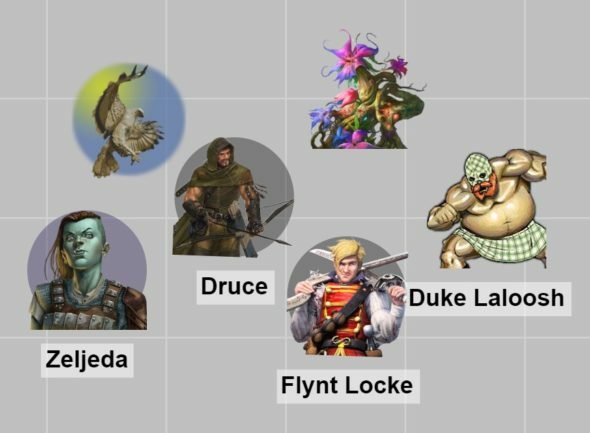 Also, Druce has a crisis of character. 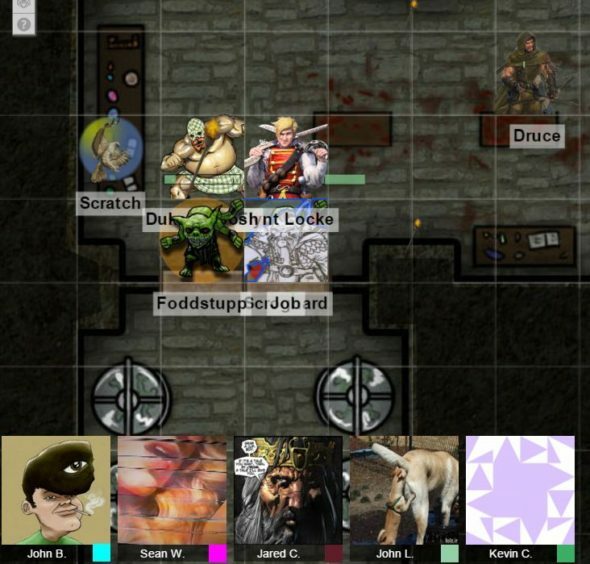 The guys deal with the goblin mutant experiments in the sewer temple. They also talk to a strange creature. Will it be a friend or foe? 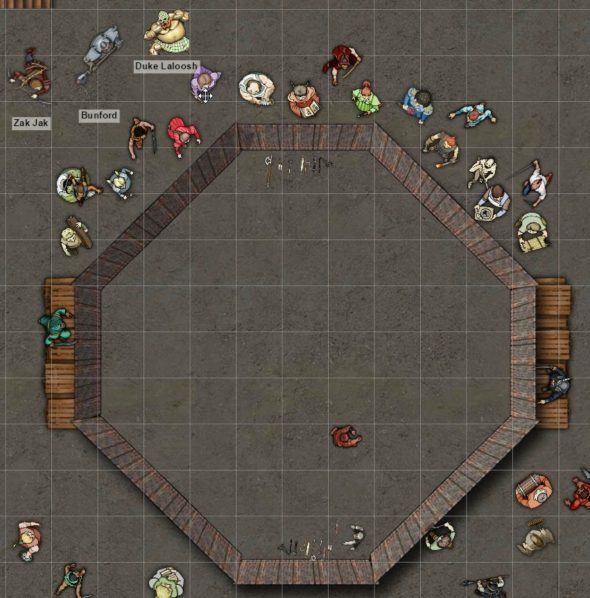 The guys are in a secret laboratory that’s part of a secret temple under the city fighting secret mutated goblins, and it’s not easy. P.s. the Prince reference in this episode was recorded a couple months ago. The timing it came out today is just coincidence. RIP Prince. 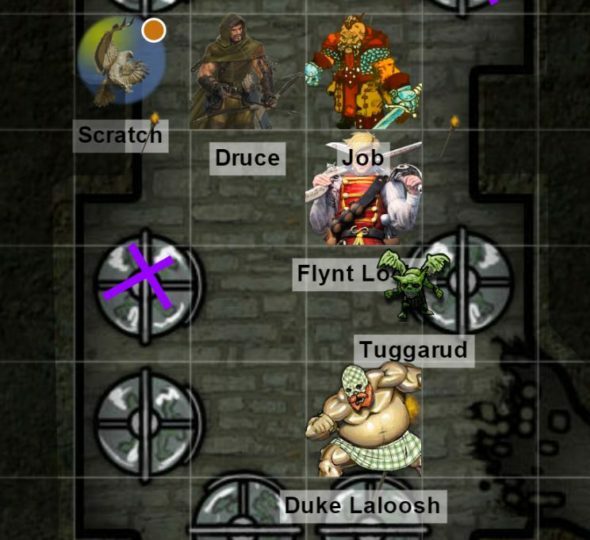 Druce, Duke, Job and Flynt are stomping through the sewers and killing every goblin they see. Last time they found a secret door that led them to a den of goblins. 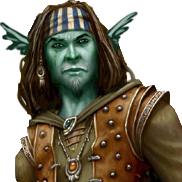 But there were mutated, more dangerous goblins than they’ve seen before. 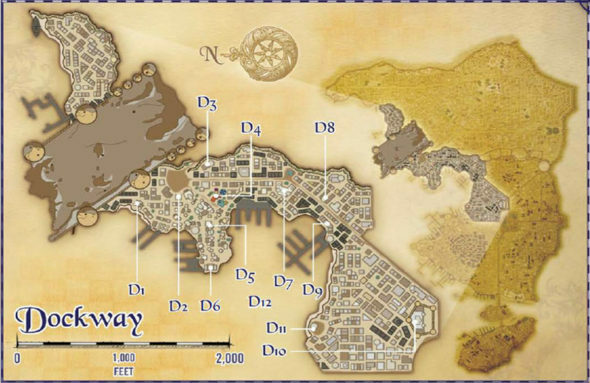 Now the guys search the area and Flynt runs into a moral dilemma. After this, the fellas head back to investigate the rest of the hidden area they found. The sewers are now infested with vermin. 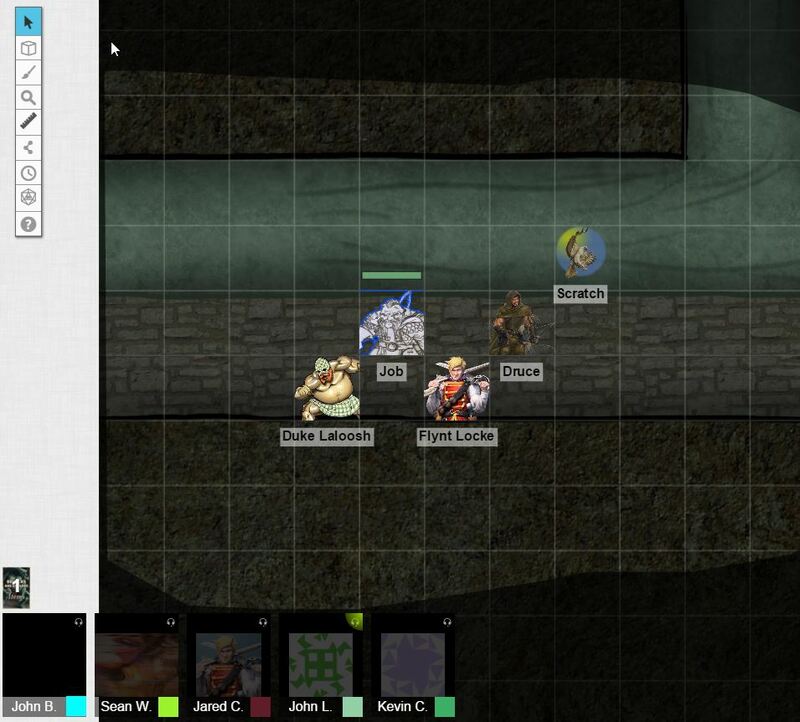 But besides the PCs there are also rats and goblins! 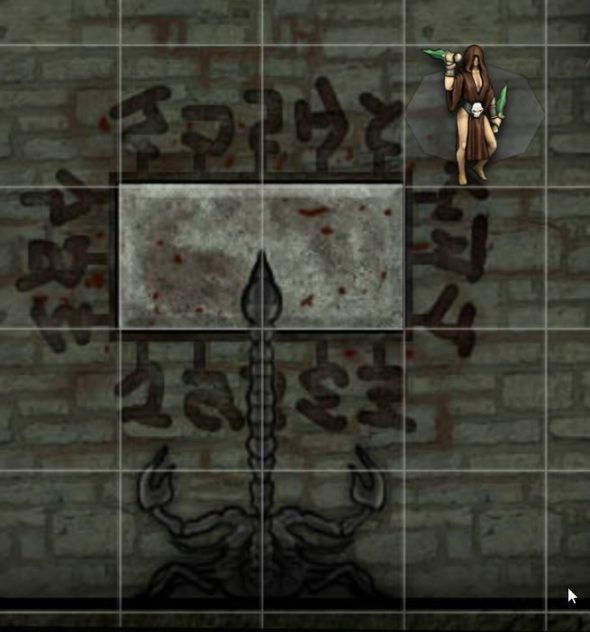 As the guys look for more goblins to kill, they find that perhaps the sewers of Magnimar hold deeper secrets than anticipated. 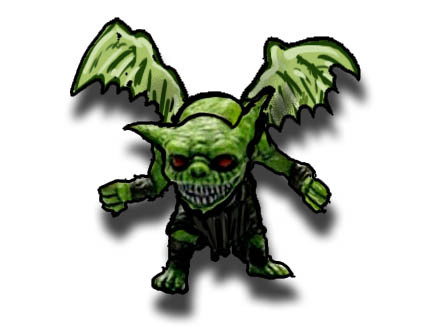 Mutated goblin loogies for everyone! 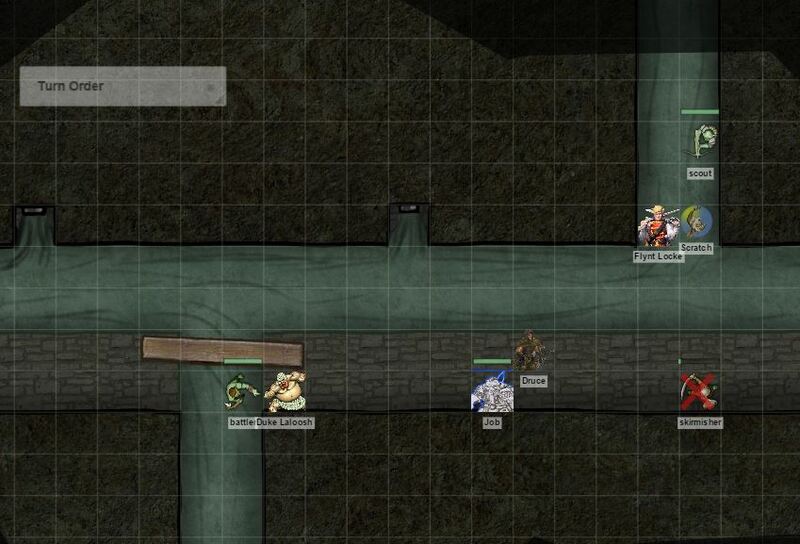 The city guard and their two “volunteers” continue their hunt for goblins in the sewers of Magnimar. 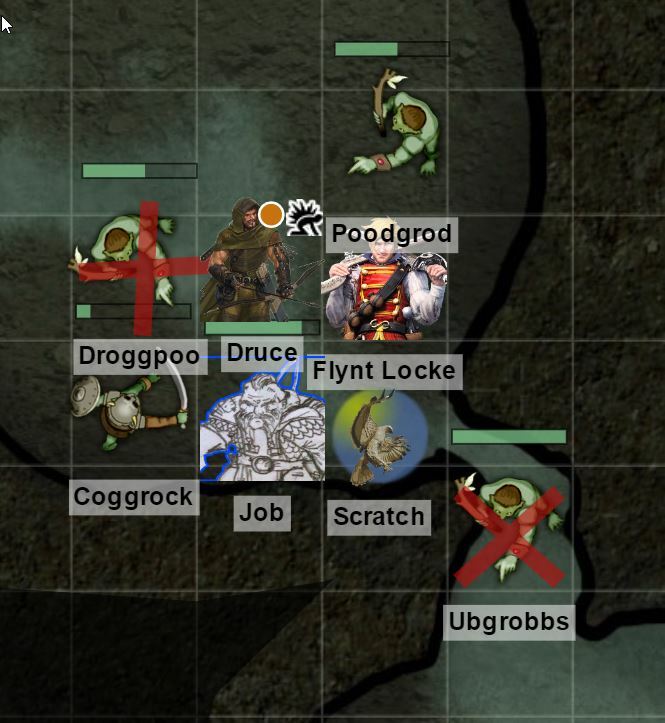 Goblins are breeding like crazy in the sewers of Magnimar, and their becoming a serious problem for the people of the city. Two city guards accompany two criminals assigned to community service as they delve into the sewers to eliminate the infestation. 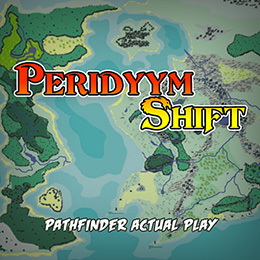 Game Master John Bunger runs Jared @Woolytoots John @burntweiners and Sean @Seanyx through a custom adventure in the Pathfinder campaign setting. 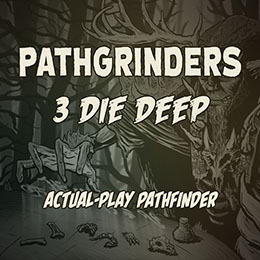 Previously aired as part of the Douglas and Dragons podcast, Pathgrinders 3 Die Deep now has it’s own home. PG3DD will be back with brand new episodes after the original fourteen are shared here!